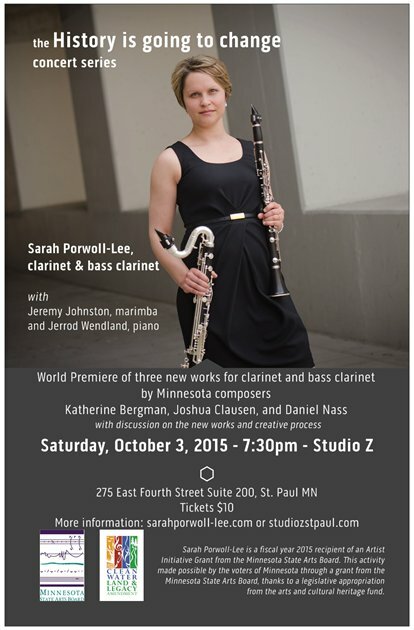 Clarinetist Sarah Porwoll-Lee presents the premiere of three new works she commissioned from Minnesota composers Daniel Nass, Katherine Bergman, and Joshua Clausen. The event includes discussion with composers & performers on the new music creative process and the creation of the new works. Sarah Porwoll-Lee is a clarinetist and music educator based in Minneapolis, MN. She serves on the woodwind faculty at Chanson Voice & Music Academy St. Paul, as Associate Instructional Specialist of Applied Clarinet at the University of Wisconsin-La Crosse, Clarinetist and Manager for Modinha Ensemble, a freelance performer around the Twin Cities, a lesson writer for Study.com, and Secretary of Zeitgeist New Musicʼs Board of Directors. 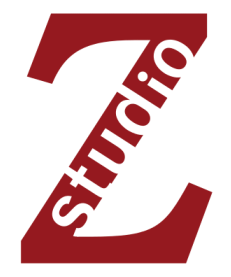 Previous work includes appearances with Zeitgeist, Spitting Image Collective, the Japan America Society of Minnesotaʼs Harukaze Festival, at universities and high schools throughout Minnesota and Wisconsin, and as a volunteer adjudicator for the 2015 ENKOR Woodwinds, Brass, and Percussion International Competition. Ms. Porwoll-Lee is a recipient of a 2015 Artist Initiative Grant from the Minnesota State Board of the Arts, and will release her first solo and chamber music album, History is going to change, in November 2015. Her degrees include a Master of Music from the University of Minnesota, where she studied with Alexander Fiterstein, and a Bachelor of Music from the University of Wisconsin-Stevens Point under Dr. Andrea Splittberger- Rosen. Sarah Porwoll-Lee is a fiscal year 2015 recipient of an Artist Initiative Grant from the Minnesota State Arts Board. This activity made possible by the voters of Minnesota through a grant from the Minnesota State Arts Board, thanks to a legislative appropriation from the arts and cultural heritage fund.